Two men, Edward Raatji (51) and Stanley Mohlake (25), accused of trying to sell a human head are set to stand trial after a delay. 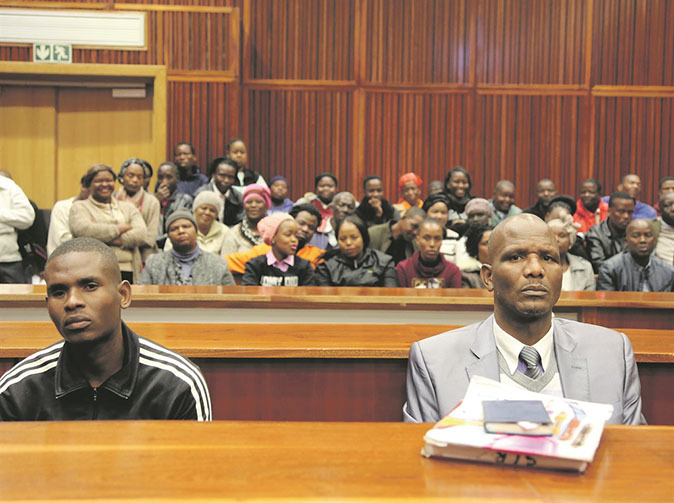 Limpopo High Court Judge Matsoro Semenya had postponed the trial because Raatji's lawyer was not present in court. The two men were arrested in the Polokwane CBD in Limpopo in 2016, allegedly trying to sell a human head to a businessman. The head belonged to Nthabiseng Mosomane (17) of Mapela Village, outside Mokopane. After the gruesome discovery, her burnt body was found under a bridge in her village. The victim lived a few streets away from both suspects. Raatji said his lawyer was not present in court as he had initially been represented by a Legal Aid one, whom he had decided to replace with a private one. Judge Semenya asked for the private lawyer's contact details to confirm whether the accused had indeed hired him. I used to teach with Edward Raatji at a Gauteng province high school where he taught social sciences and other subjects to various grades. Can't believe that the same man now stands accused of attempting to selling a human head. Shocking!